has been the head coach of the East/West All-stars six times. Before coming to Madison Central, Coach Roof was an assistant at Eastern Kentucky University for four seasons under Hall of Fame Coach Jim Ward. From 1998-2000, Roof served as the Recruiting Coordinator, and the Colonels won the OVC in 2000. He was also the head coach of the Durham Braves in the Coastal Plains Collegiate League. As a player, Coach Roof played at North Rowan High School and Lenior-Rhyne University in North Carolina. He and his wife, Sarah, have a daughter, Hannah, and two sons, J.D. and Isaac. Coach Withers enters his 19th season as assistant coach of his alma mater. During his tenure, Withers has coached both the junior varsity and varsity programs. He runs the offense, and also serves as the infield coach. In 2003, Withers was selected to coach the East/West All-Star game and in 2007 and 2016 was named the 11th Region Assistant Coach of the Year. With the help of Coach WIthers, 17 Indians have gone on to play infield at the collegiate level. During Coach Withers' playing career at Madison Central, he played for Hall of Fame Coach Don Richardson. Withers lettered for the Indians from 1990-1993, in which the team boasted a 126-26 record, as well as winning two Regional Championships and making one Final Four appearance. He and his wife, Ashleigh, have a son, Andrew. 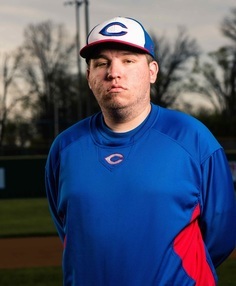 ​Coach Rigsby is beginning his first season with Madison Central High School, and his 13th season overall. Before joining the Indians’ coaching staff, Coach Rigsby spent the past three years at Madison Southern High School in Berea, Ky. He started his coaching career at his alma mater, Powell County High School In Stanton, KY. Coach Rigsby moved on to Lawrence County High School in Louisa, KY where he coached under Hall of Fame Coach, Randy Keeton, for three seasons. After a State Runner-up finish with Lawrence County, he spent the following season as the Interim Baseball Coach at Pikeville College. After spending a season at Saint Francis DeSales High School in Louisville, KY, he went on to take over as head coach for Jeffersonville High School in Indiana. While coaching in Indiana, Coach Rigsby was also selected to be the Head Coach for the ACIS’s “America’s Team.” As the Head Coach for America’s Team, he took a 17U team from around the United States to Italy to compete against teams from around the world. Coach Rigsby’s coaching career has consisted of 5 Regional Championships, 9 district championships, 2 Conference Championships, 3 sectional Championships, and 3 state runner-up finishes between both KY and IN. He has also been named “Coach of the Year” twice, and has twice coached in the East/West All-Star game. As a player, Coach Rigsby was a 3-sport athlete(baseball, basketball, football)at Powell County High School in Stanton, KY. He went on to play at the college level for Pikeville College under former major leaguer, Johnnie LeMaster, where he was a catcher and a middle infielder. edit. Coach Waters, a 2009 graduate of Boone County High School, is entering his fifth year as an assistant with the Indians. Coach Waters comes to Madison Central from WKU where he was a manager for the Men's Basketball team. During his time at Western, Coach Waters was a part of back-back Sun Belt Tournament Championships. Coach Waters has ten years of umpiring experience in Northern Kentucky along with five years of experience working in the minor leagues with the Florence Freedom and Bowling Green Hot Rods. Besides coaching baseball, Coach Waters teaches social studies here at Madison Central, and coaches with our boys basketball team. He is the son of Jim & Doris Waters, with one brother, Colin, and a sister, Adrianna. Coach Gross is entering his fifth year with the Indians. During his time with the Indians, he has worked with the hitters and outfielders. This former Indian was a member of the 1982 state championship team, and played in the final four three times. Coach Gross has also coached at the middle school level for 4 years. He and his wife, Cindy, have a daughter Mattie, and two sons Trey and Blake.